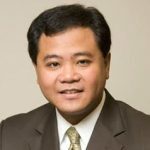 Paul Marquez, JD, CPA/ABV/CFF, ASA brings over 25 years of experience in accounting, law, and finance to his practice of business valuation and work as an expert in commercial litigation related matters. Mr. Marquez performs valuations for various purposes including gift and estate tax reporting, marital dissolution, financial reporting, complex business litigation, forensic valuation, and corporate dispute resolution. Prior to joining Sigma Valuation Consulting, Mr. Marquez led the valuation and litigation support practices of several middle market accounting firms. As an expert witness, Mr. Marquez has testified in the Federal and State courts as well as in arbitration and mediation. As an experienced presenter, he has been a featured panelist and speaker at national and local conferences and seminars of numerous professional organizations. Mr. Marquez is a Certified Business Appraiser with the Institute of Business Appraisers and Senior Designated Member of the American Society of Appraisers. He is also Accredited in Business Valuation (ABV) by the AICPA, and holds the AICPA’s Certified in Financial Forensics (CFF) designation. In addition to his professional credentials, Mr. Marquez serves as an Adjunct Professor in the School of Management at the New York Institute of Technology. Mr. Marquez remains committed to the field of accounting through his participation in a variety of professional organizations. He is a member of the American Institute of Certified Public Accountants (AICPA) and the New York State Society of CPAs (NYSSCPA) where he has served as Technical Issues Chair of its Business Valuation Committee. Mr. Marquez is also a member of the New York State Bar Association’s Commercial Division and a former Director of the Long Island Chapter of the Institute of Management Accountants.